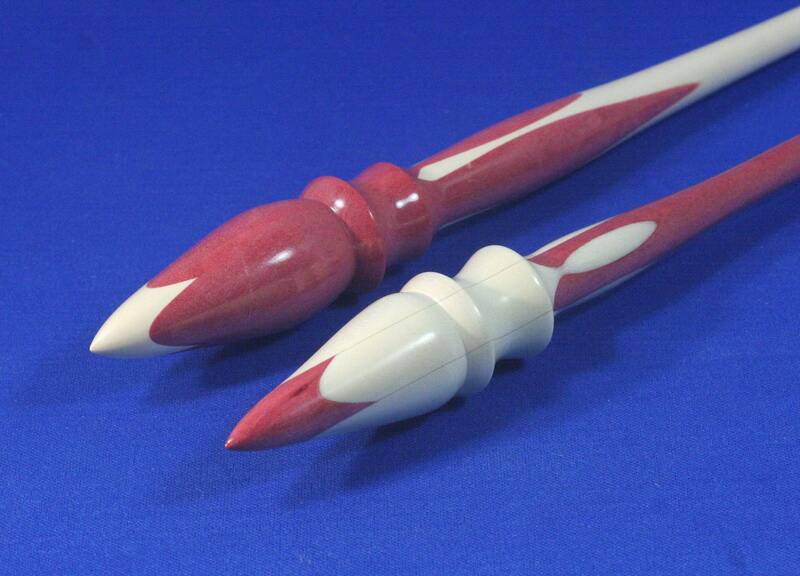 Neal's wood turning hobby started approximately ten years ago when he bought a lathe. He taught himself the basics of turning by reading books as well as by trial and error. But it was mostly error until he joined the Golden Triangle Woodturners and he took his first wood turning class from Eli Avisera. Neal has made a variety of turned objects using a number of techniques. At first, his favorite objects were boxes and spin tops. Then he became interested in bowls, platters, and jewelry holders. For the last year, most of the objects Neal made were support spindles that are used to spin yarn. He started making spindles when someone saw spin tops in his Etsy shop and asked him if he could make a Tibetan spindle. After researching them, Neal made a small batch and learned that there is a market for support spindles. In the last year, he has refined his design both aesthetically and functionally. His refinements include applying mathematics to increase the spin time. Neal is a mathematics professor at the University of North Texas where he has taught for 29 years. He is married, has two grown daughters, and two granddaughters.